Few games stick with me after conventions as much as What Remains of Edith Finch has for the past two PlayStation Experiences. 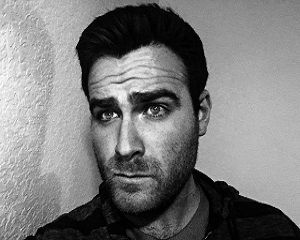 Last year, a shorter-haired, thinner me was on PlayStation's livecast to talk about why it intrigues me so (look at him, so full of life and vigor). This year, I was treated to a new demo that was probably about ten minutes long but will stay with me for much, much longer. 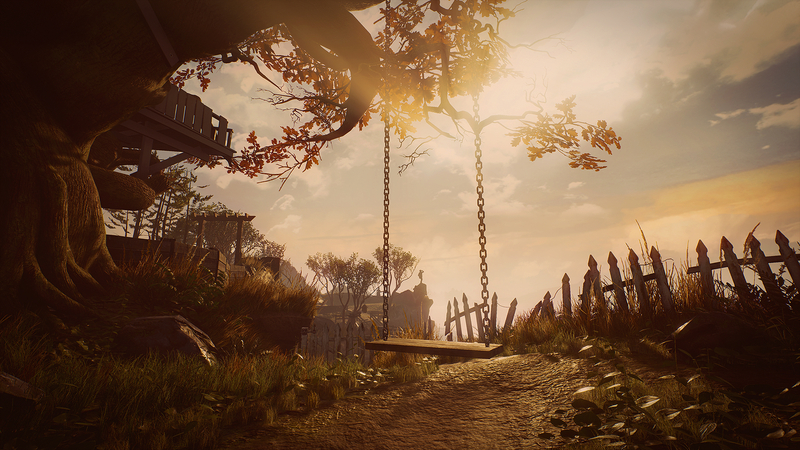 Before we get there, let's talk about the setup of Edith Finch. The titular character has found that she's the last one left alive in her family. She's exploring her home, which is filled with secret puzzles, levers, and diaries, each detailing the lives of one of her relatives. Said family had a bizarre mourning habit: instead of burying their dead and getting rid of their earthly possessions, the deceased's rooms are boarded up, preserving their lives exactly as they were. In this demo, Edith is in the room of what was once a pair of twins. When one twin died, instead of boarding up the room entirely, one half was roped off, left in stagnation. As Edith, I went up into a bunk bed (or some kind of playhouse, I'm having trouble remembering exactly because PSX was busy enough to kill me) and found a short story, leading me into a flashback to one of her relatives. I was suddenly in a swing, looking down at my legs. One of them was in a cast. I heard the voiceover of what I assume was the other twin, saying he told my character that it was impossible to swing all the way over the tree branch. He laments that he wished he hadn't challenged the twin. Using both sticks to manipulate my legs, I began gathering momentum, propelling back and forth, a sheer cliff atop the ocean in front of me. Backward. I glance at Ian Dallas, the creative director, a little uncomfortably. He laughs sheepishly, knowing what's coming. Forward. I begin to laugh myself, as the voiceover makes it increasingly obvious that this will not end well. Further backward. I have enough momentum that I know on the next push, I'm going to defy physics, doing a complete circle over this tree branch. The impossibility of this is not lost on me, but Edith Finch doesn't seem altogether concerned with what the physical world is responsible for. Up and over. For a second I realize that this broken leg is going to make it awfully hard to land. Then I go up and over the branch in a perfect circle and launch off of the cliff quite intentionally, and I know that landing was never part of the plan. I look at Dallas and ask: "Does Giant Sparrow need a psych evaluation after this comes out? Like, are you dudes okay?" We laugh, and I don't really get an answer. That's okay though, because it's Edith Finch's grim nature that has me so curious to see more. It's releasing on PS4 and PC this coming Spring.